Baan Kun Ya is indeed a great place and a hidden jewel in Bandar Utama Centrepoint. I was there for the first time back few months when they launched their outlet (Review HERE) and now they have some new items which is worth to try. Being in Thai Restaurant, one must of course try their Tomyam either the red tomyam or the clear soup tomyam. We tried the red tomyam during our last trip and today we went for the clear spicy tom yam soup. 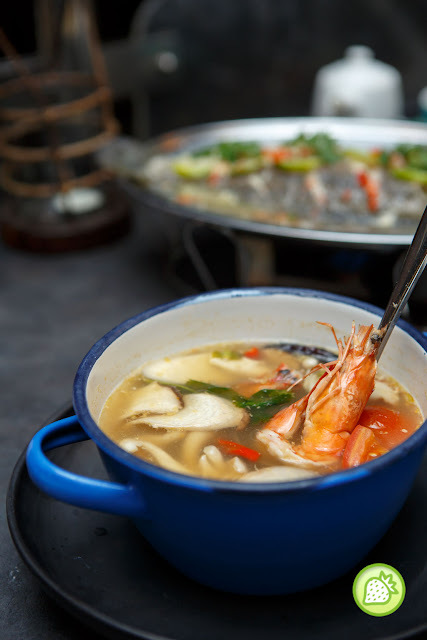 For those who prefer their tomyam without any coconut milk, you can enjoy a lighter and flavourful hot soup with the mixed seafood in it. They comes with the choices of vegetables ( RM 28(S)/ RM 33 (L) ) , Seafood ( RM 38(S)/ RM 48 (L) ) ,Prawns RM 38(S)/ RM 48 (L)) and lastly the chicken (RM 32(S)/ RM 36 (L)). The tomyam is served hot in the bowl with the pipping spicy hot soup. Awesome! 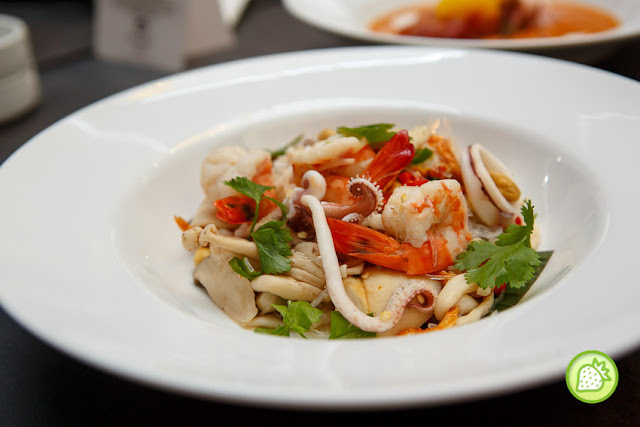 Get the taste of the unique Thai delights where filled your tummy with that tangy vermicelli seafood salad. Tossed them with shrimp, squid and freshly shredded vegetables, and this salad will definitely excite your palate with the sweetness, saltiness, spiciness and the acidity. 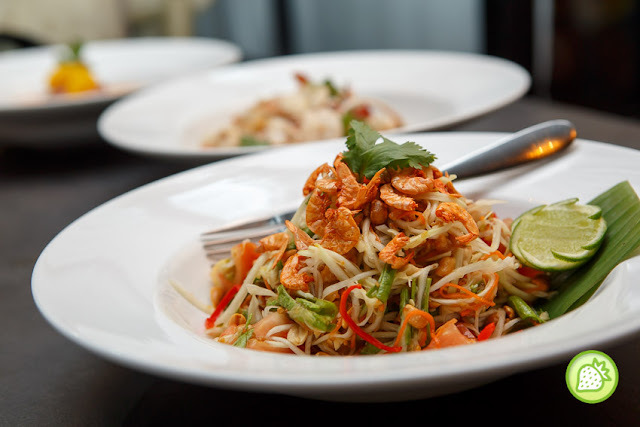 One of a must order when you are in a Thai Restaurant! Don’t miss the lovely plate of papaya salad where the raw papaya is thinly slice and accompanied with the dried prawns, peanuts, long beans, carrots, chili, tomatos and their signature Sontam Sauce. 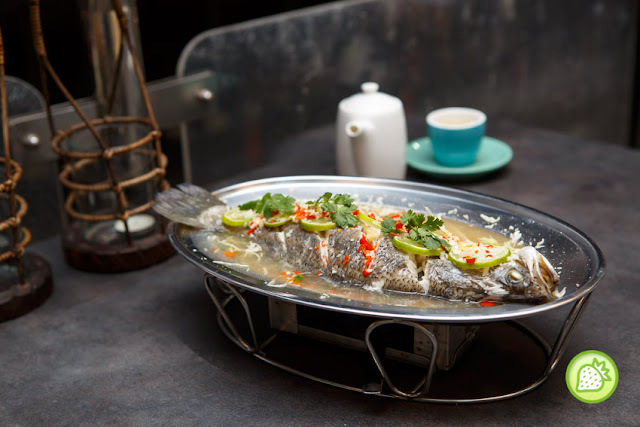 The lovely seabass is well steamed till perfection with the lemon juice, garlic, chili and onions. Topped with coriander, chili, and lime slices that brings you with the sweet and sour tanginess. 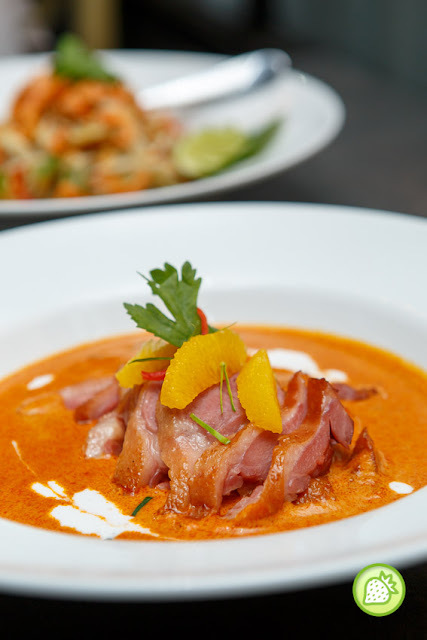 One of the signature in Baan Kun Ya which is loved by many customer is their Smoked Duck Curry.The curry is well cook till perfection with the creamy base and the tender juicy meat. Every mouthful is bringing you the aromatic bites with the fragrant taste of meat. Awesomely good. 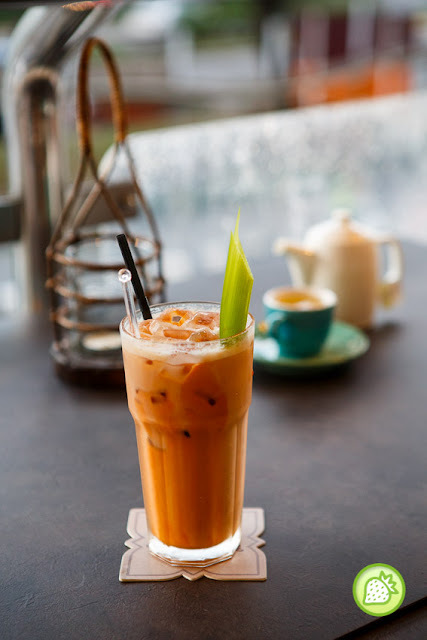 Enjoy a cup of a cooling drink – Cha Yen where the Thai ice tea is perfectly good for the hot day and spicy food. Dont miss out their sweet lovely desserts there too where you will definately fall in love with it. For those who are looking for a nice decent Thai delights, Baan Kun Ya is definitely a great restaurant to go for some Thai delights. Great photos. I do feel hungry looking at them. Great shot! Ah, you are making me drool for the tomyam at this hour. No good lah! I hope I get to try them one day soon! Loving your photos of the food.. they look so good I feel hungry… I want to try this place out too…. Aha!!! So many varieties…yummylicious and rich. the smoked duck curry looks really yummy. i can imagine the creamy coconut base curry texture….so luscious! i want Yum Woon Sen!!! Must look up for the recipe soon, lol, so I can make a halal version of it! Hehehehe! you make me feel hungry now!!!! The food looks so yummy!! I am a Thai cuisine lover especially tom yum! It’s my all time fav. 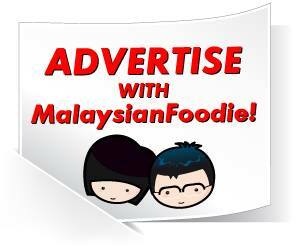 Would definitely dine there when back to KL. Regret to read your post before my dinner. love Thai food. 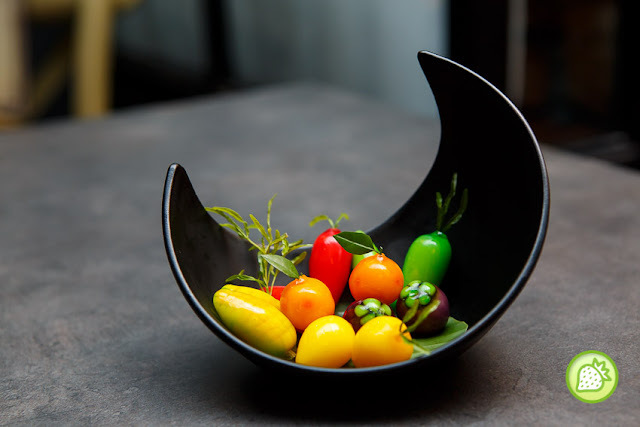 thanks for sharing this post, there is one more restaurant added to my to-visit list! Yes their Panang Phet is the best and so appetizing with rice. I like this thai restaurant too. Long time didn’t go to Centerpoint BU. Never know they have this restaurant. Next time go there will check this out. I love Thai food. Will definitely visit this restaurant one day.